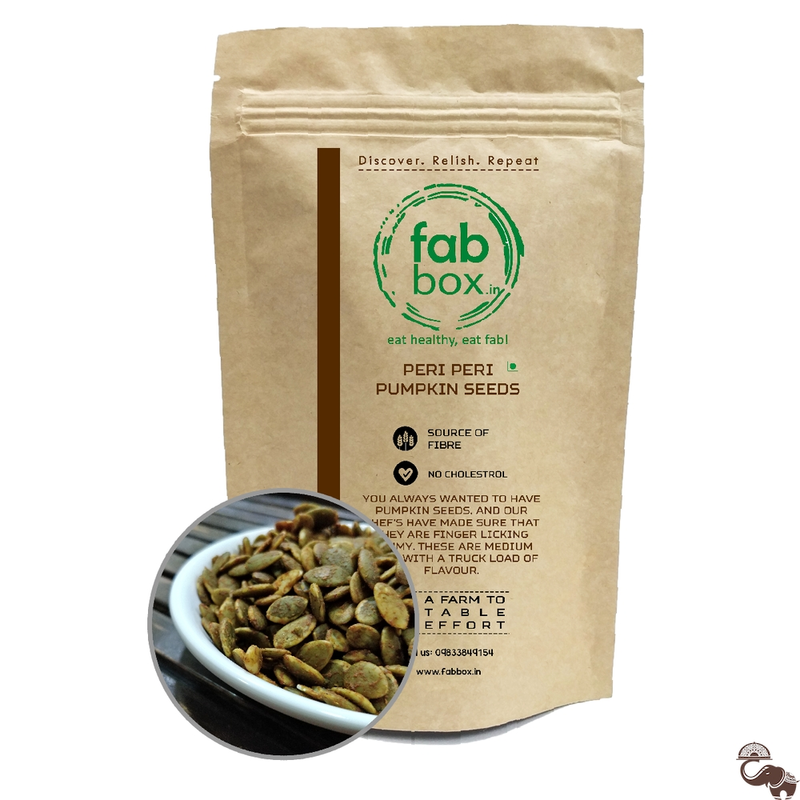 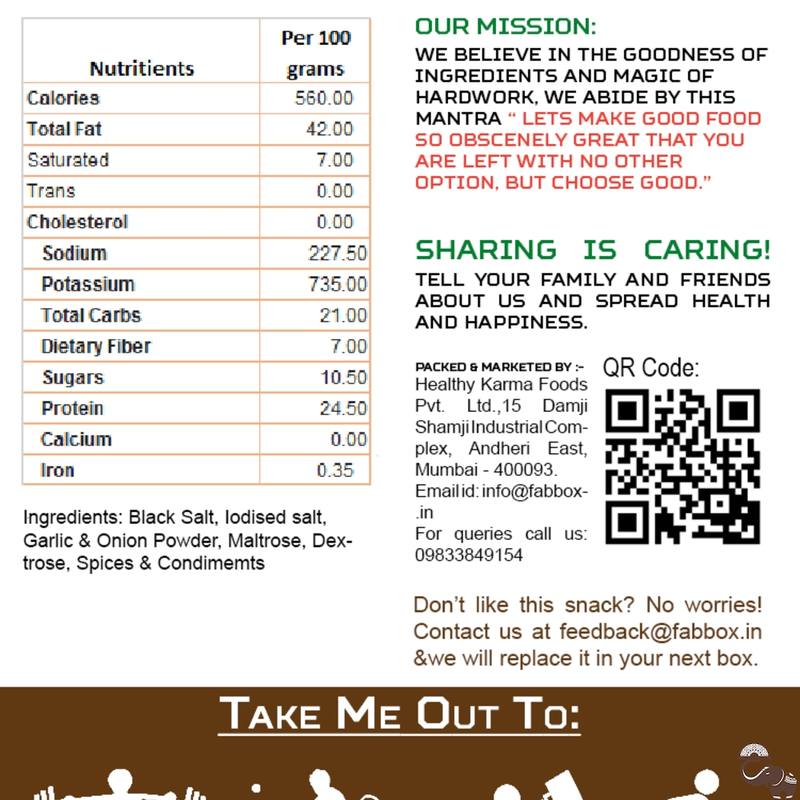 You always wanted to have pumpkin seeds and the chefs at Fab Box have made sure that they are finger licking yummy. 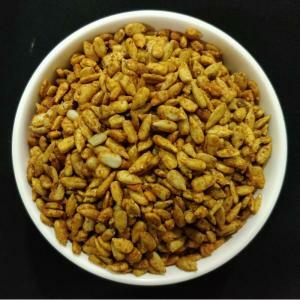 These Peri Peri Pumpkin Seeds are medium spicy with a truck load of flavour. 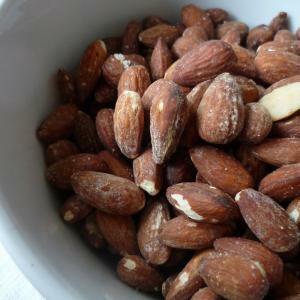 Because these are high-fibre seeds, they're able to boost your fibre intake, helping you reach the ideal amount of 50 grams per 1,000 calories consumed. 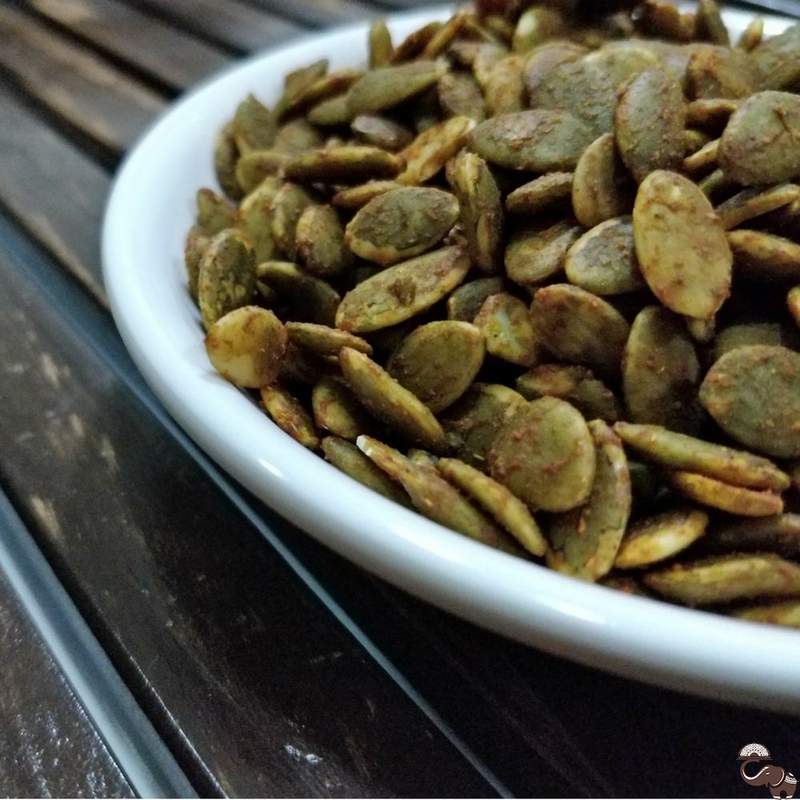 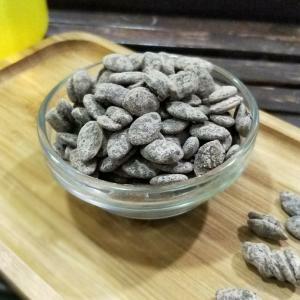 Best of all, because pumpkin seeds are highly portable and require no refrigeration, they make an excellent snack to keep with you whenever you're on the go, or they can be used as a quick anytime snack at home, too.